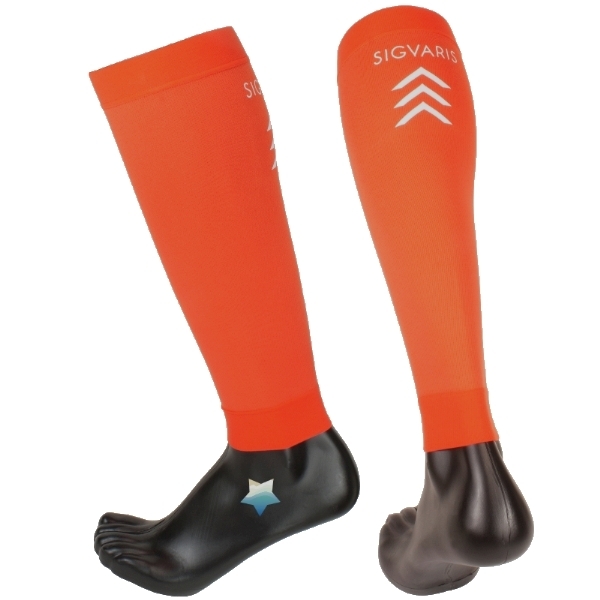 Sigvaris Running Compression Leg Sleeves are made by with true graduated 20-30 mmHg compression and allow athletes to customize their compression wear providing ankle-to-calf compression they can wear with or without their favorite sock. 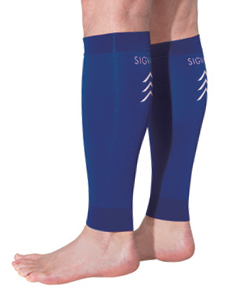 The Sigvaris compression calf sleeves improve blood circulation, increase oxygen delivery which equates to faster regeneration, less aching and cramping -- plus thermal and odor control. 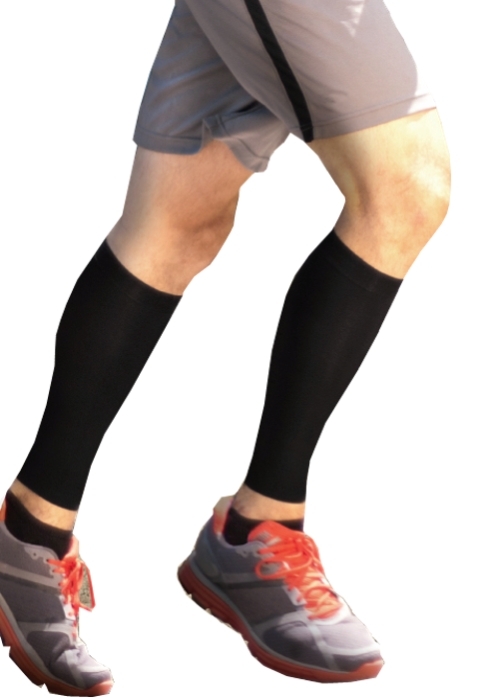 Marathon runners, Triathletes and other athletes who wear these running calf sleeves may experience less sports-related aches and pains, optimizing their performance potential. Running leg sleeves are available in White, Black, Orange, Lime Green, Pink, Purple, Red, and Bright Blue. Four sizes available for the perfect fit. See Size Chart for sizing information and the Description tab for additional information. One pair in a retail package. Additional Information as Provided by the Manufacturer, Sigvaris Corp.
SIGVARIS Performance Sleeves are taking athletes worldwide to a whole new level. Performance Sleeves improve blood circulation and increase oxygen delivery to muscle tissue, maximizing an athlete's endurance. Athletes who wear these socks may also benefit from less sports-related aches and pains, optimizing their performance potential. 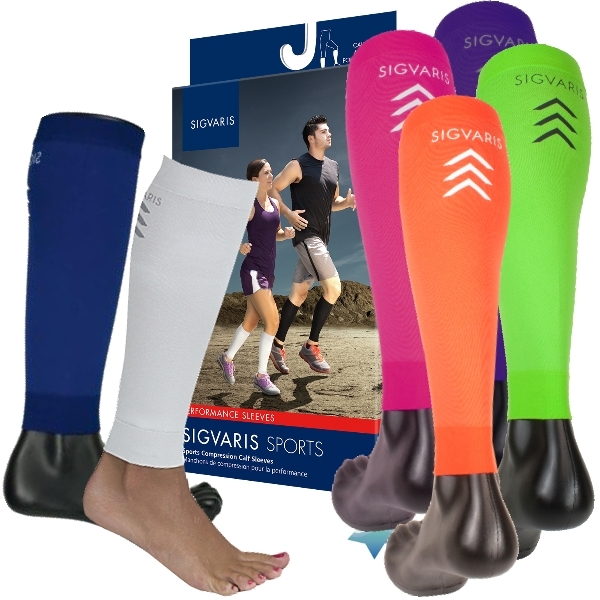 When an athlete slips on SIGVARIS Active Therapy Sleeves, his or her legs will instantly feel supported and comforted, but the real benefit of wearing true graduated compression happens at a deeper level. 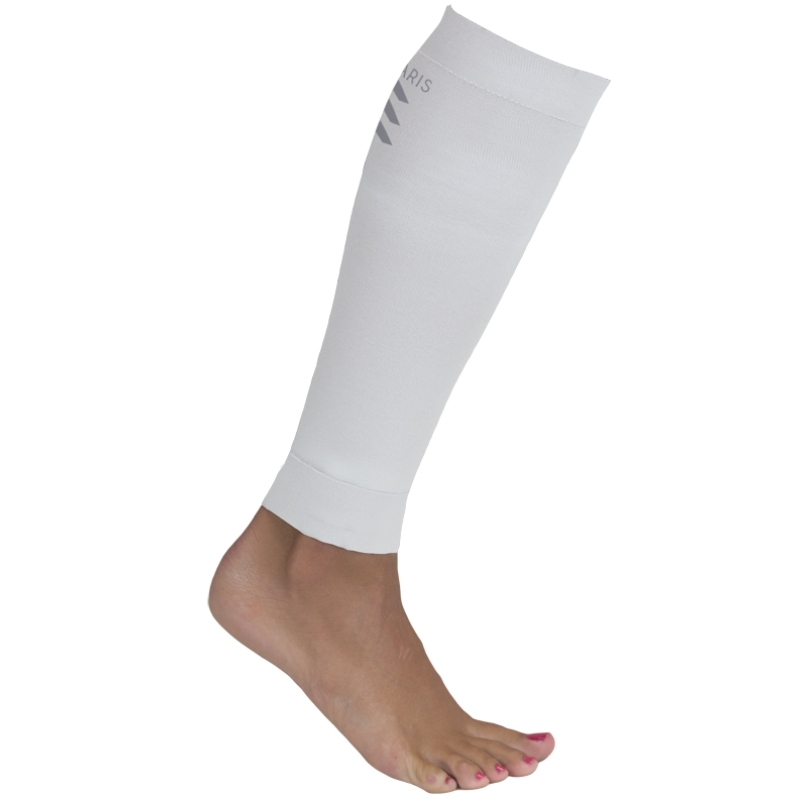 All SIGVARIS Active Therapy Sleeves use the science of true graduated compression. 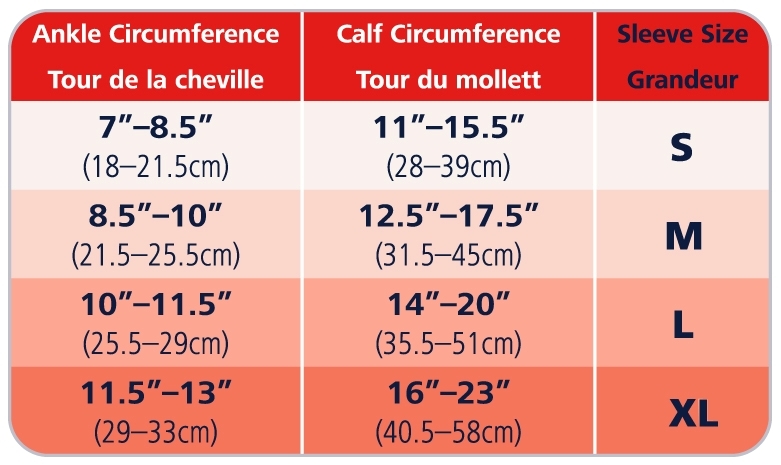 This means that the compression is strongest at the ankle and gradually diminishes up the leg (see diagram below). These compression socks act as a layer of muscle, gently squeezing stretched veins walls. This built-in feature helps fight the force of gravity and circulate blood back to the heart more efficiently. When blood is properly circulated, it restores much-needed oxygen and nutrients to tired muscles that have been deprived during a workout. Active Therapy Socks help muscles regenerate more efficiently and help to remove any lactic acid that has built up. Today's athletes understand that true graduated compression helps their performance, which is why athletes worldwide won't leave home without these sleeves.